The Cross of Valour was created on May 1, 1972. It is only awarded for acts of conspicuous courage in circumstances of extreme peril. Posthumous (after death) awards may be made. All Canadian citizens, both civilians and members of the Canadian Forces, are eligible for the award. 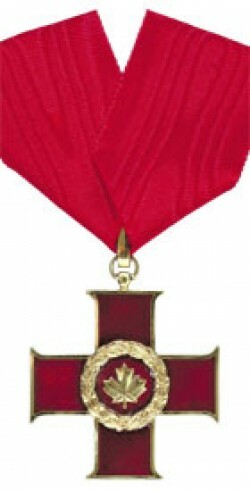 The Cross of Valour was created to replace Order of Canada’s Medal of Courage, which had never been awarded since its creation in 1967. Before 1967 Canadians received the George Cross. There were ten George Crosses awarded in Canada: eight military, one merchant navy, and one civilian. Persons who are not Canadian Citizens may receive this award if they perform an act of bravery in Canada, or perform an act of bravery outside of Canada that merits recognition by Canada as an act in the interest of Canada. There are two instances in the following database where the same person appears twice. In both cases they were recipients of different bravery medals/awards for different events.